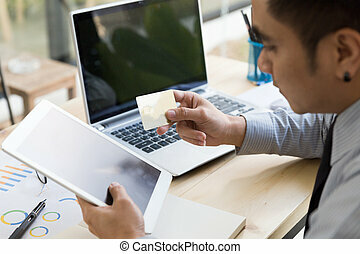 Businessman Hand Holding A Credit Card Intent To Made A Online Payment With Smartphone On His Desk. 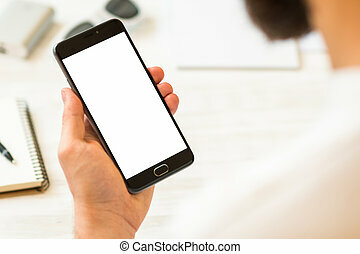 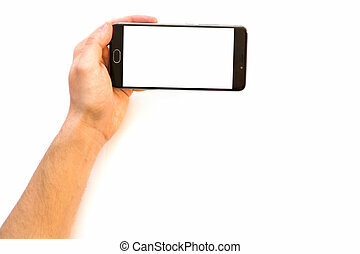 A man holding a smartphone with white blank screen to montage your application isolated on white background. 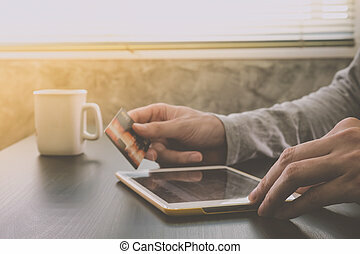 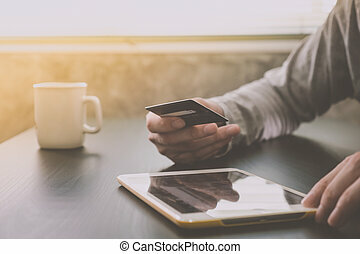 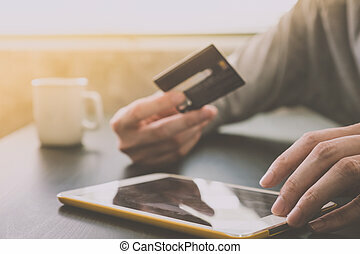 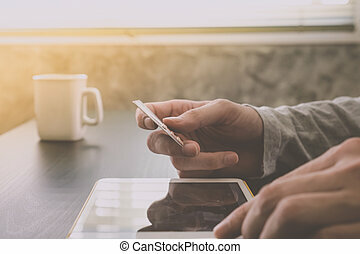 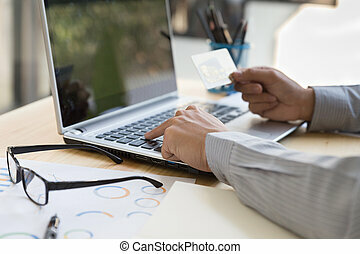 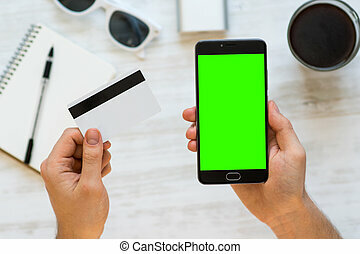 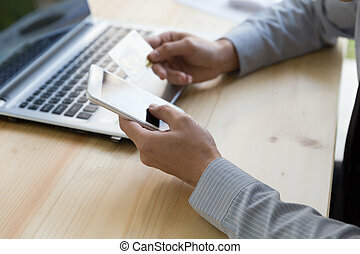 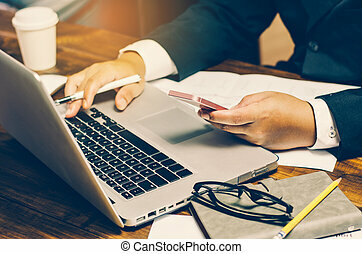 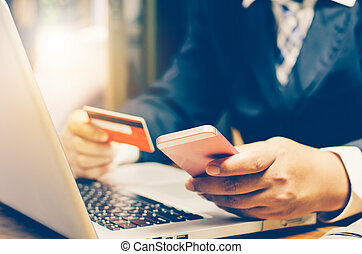 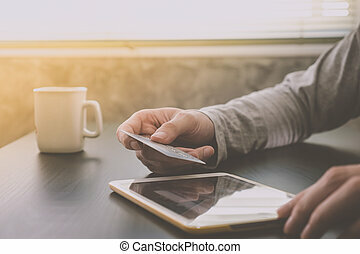 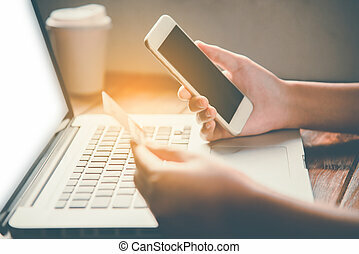 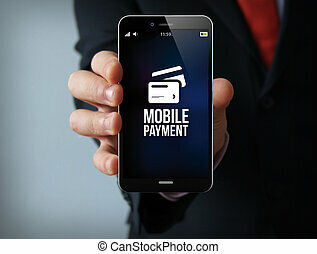 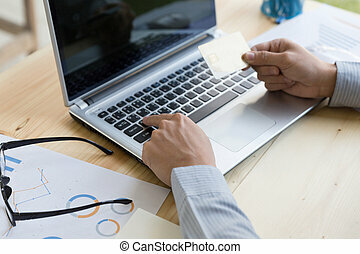 Male hands holding credit card and using Tablet with a cup of coffee on the table, soft focus, flare sun light, Online shopping concept. 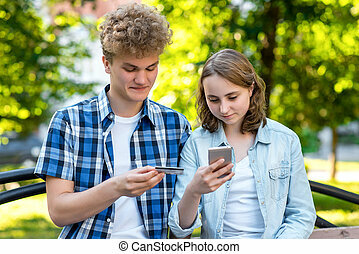 A guy with a girl in the summer in the park like. 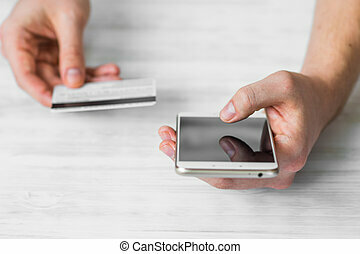 In his hands holds a smartphone and a credit card. 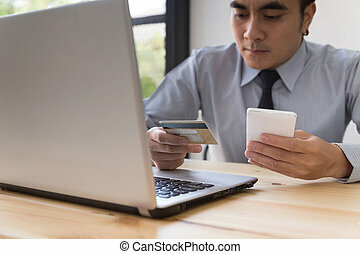 Happy smiling to do shopping on the Internet. 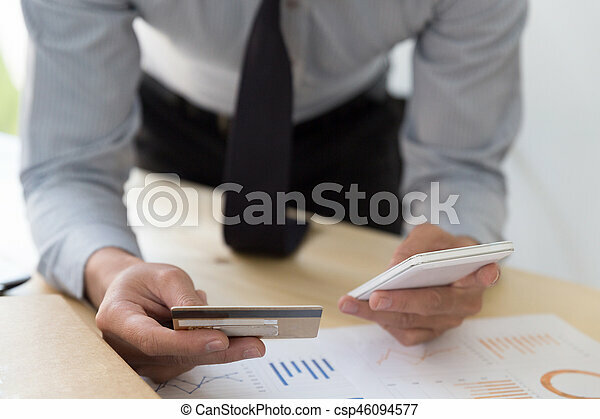 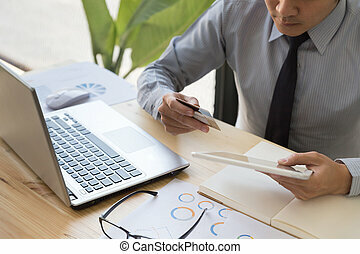 new technologies business concept: businessman hand holding a 3d generated touch phone with mobile payment on the screen. 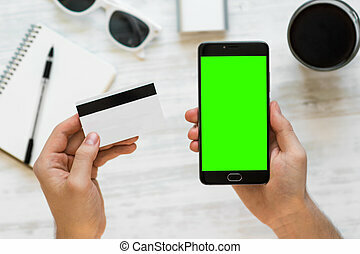 Screen graphics are made up.